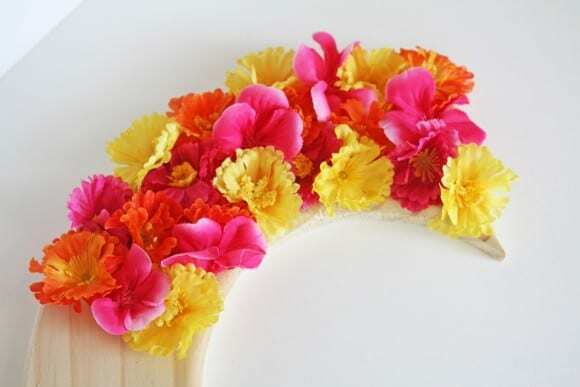 Now that spring is (almost) in the air, I wanted to share a craft that will add a pop of color to your home or party. 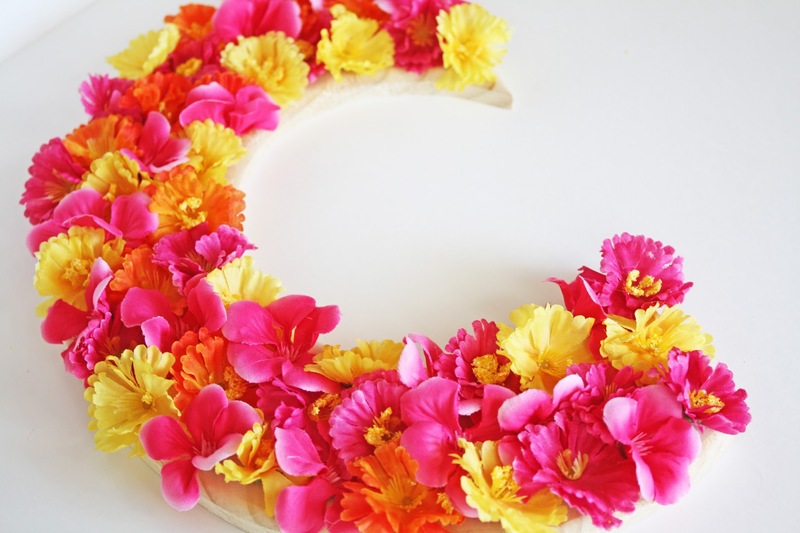 This flower monogram letter is so easy to make and what I love about it is ohw bright and festive it is! Step 1: Begin by pulling off the flower buds from the stems and use scissors to make the bottom flat. 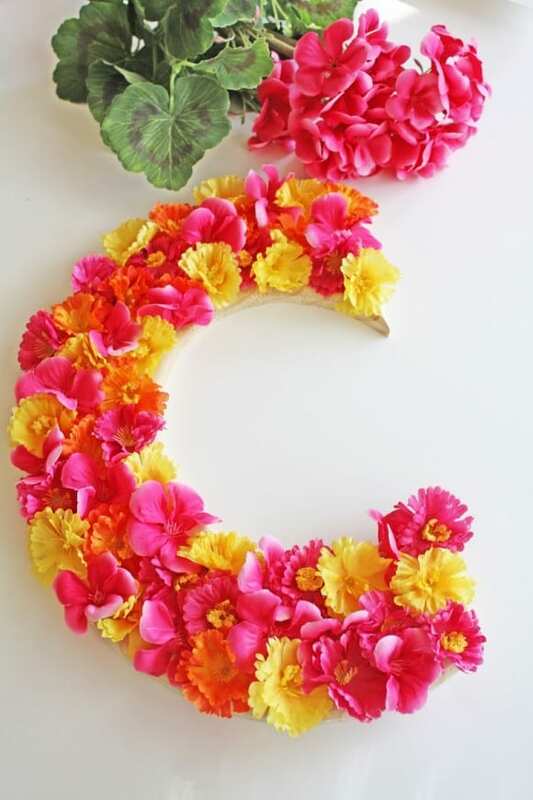 The amount of flower buds will be dependent upon how large the letter is and how large the flowers are. Step 2: Before gluing the flower buds to the letter, lay them on top of the letter to get an idea of how you would like them to be placed. This will also give you an idea of how many flower buds it will take to fill the space on the letter. Step 3: Begin hot gluing the flowers to the wooden letter until the letter is completely covered. 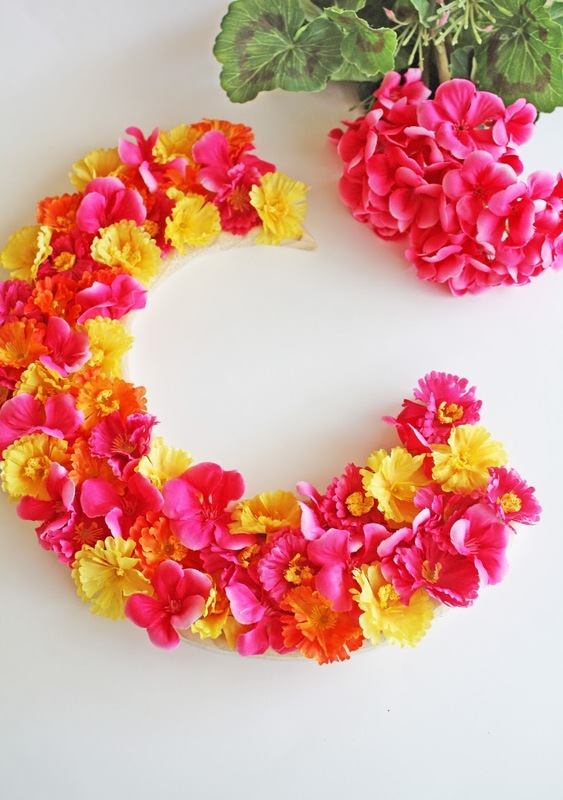 These floral monogram letters make the perfect home decor for Spring! 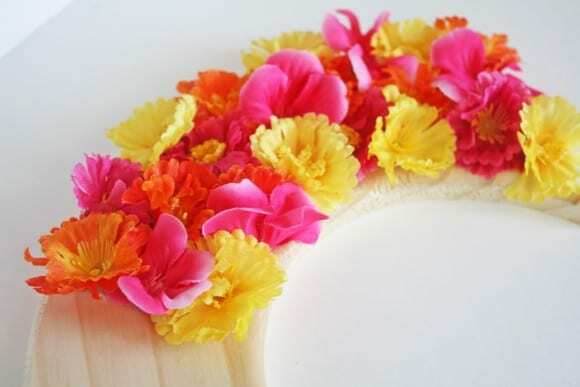 You can also use them to decorate a wedding, baby shower, or bridal shower. 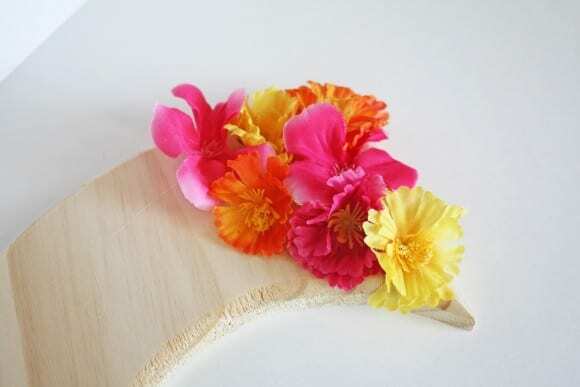 Using the artificial flowers allows you to completely customize your color scheme. There are also many styles of letters you can choose from. We recommend using the “block” style letters, making them easier to read once embellished. 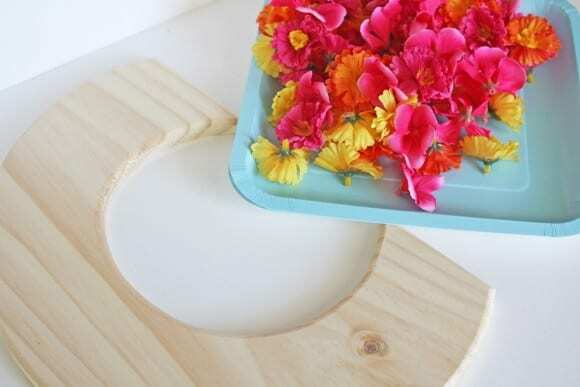 This gorgeous DIY was created by our style and craft contributor, Shauna at Ella and Annie Magazine! To see more of Shauna's work, check out Ella and Annie Magazine and visit them on Facebook, Twitter, Instagram, and Pinterest.